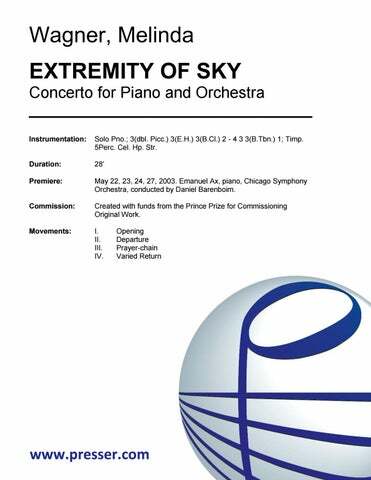 The Chicago Symphony Orchestra, under the baton of Susanna Mälkki, will premiere a substantial new work by Pulitzer Prize-winning composer MELINDA WAGNER on June 15th, 16th, and 17th. 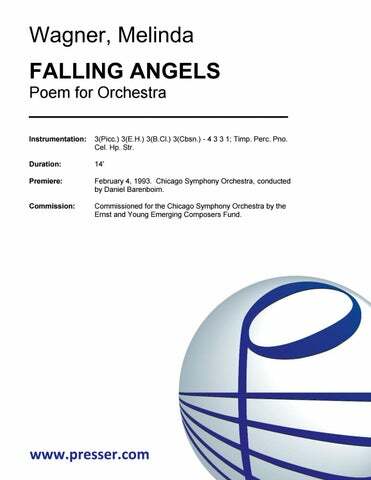 Described as a fantasy for orchestra, Proceed, Moon is an 18-minute work for large orchestra and is the third piece of Wagner’s to be commissioned by the Chicago Symphony Orchestra. Her previous commissions with them include Falling Angels (1993) and Extremity of Sky (2002), a piano concerto written for Emanuel Ax. Peruse all three Chicago-commissioned works below. This entry was posted in Theodore Presser Composer Activities and tagged Melinda Wagner, Proceed Moon on June 9, 2017 by nball.